"Quick connection, very quick to reply, great reading "
"Had an excellent reading with Starz Wolf Spirit and I highly recommended. Really connected, and Starz Wolf Spirit answered my questions and gave insights that I really needed. Initials and situations were brought to light, completely accurate and validated the reading. 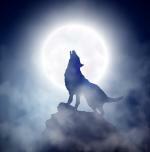 Definitely plan on future readings with Starz Wolf Spirit again." "Such a lovely reader.Highly recommend!! Very in tuned and quick to reply. Great read! "